On this week’s San Diego Explained, break down how the drying up of the Colorado River will impact West Coast residents. The Colorado River essentially functions like a water bank for the three biggest states in the West: California, Nevada and Arizona. Fearing that the federal government was about to step in to ration the river, states have been working on a new deal to share water. All this is happening because an ongoing drought along the river has collided with years of overuse by the states, primarily California and Arizona. What do you want to know about San Diego? 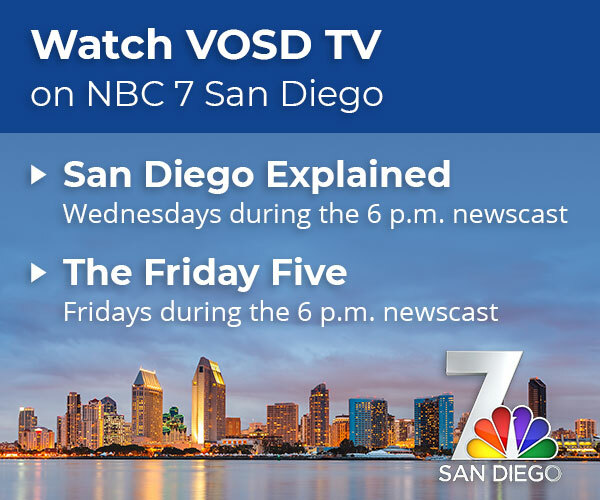 NBC 7 and Voice of San Diego are ready to answer questions about local government, education, land use, the environment, homelessness, housing, the border, arts and culture — or other topics you’ve been wondering about. Submit your questions or ideas here. Adriana Heldiz is Voice of San Diego’s assistant digital manager. She makes videos and helps manage the organization’s online presence. Adriana can be reached at adriana.heldiz@voiceofsandiego.org.